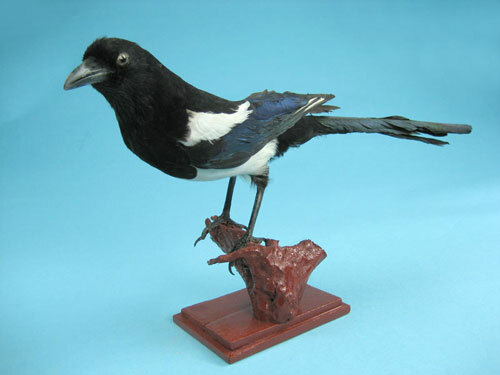 Base mounted model of a Magpie. 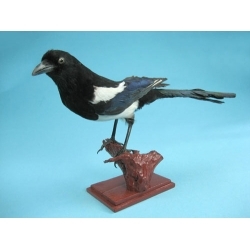 Magpies are noted for their chattering. Genus: Pica pica, habitat is Eurasia and North America, Corvine family.